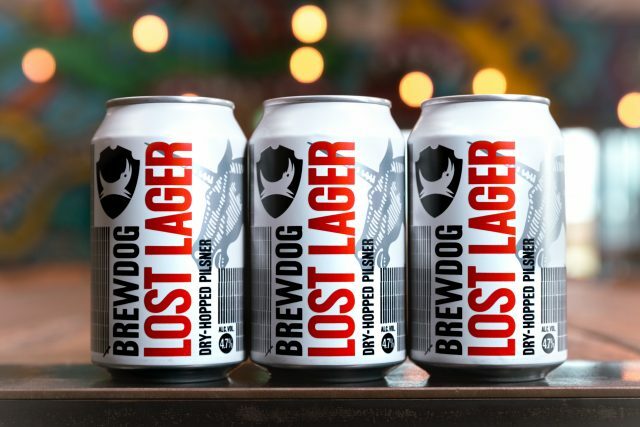 Brewdog is encouraging consumers to swap “bad” beers produced by big beer firms for a lager it launched this week, copying publicity stunts carried out by, er, big beer firms. Titled the “International Bad Beer Amnesty” on Wednesday 12 September BrewDog bars in the UK, Berlin and Brussels, will have a designated ‘Bad Beer Bin’ where visitors can dump their unwanted cans of beer in exchange for a pint of the brewery’s latest lager. Each person who swaps a can of ‘bad beer’ will be entitled to one free pint of Lost Lager, while the brewing giant will recycle the beers and convert them into renewable biogas. The campaign doesn’t go into detail about what constitutes a “bad beer”, but it comes on the heels of an advertisement published in the Metro, comparing reviews of lagers from Budweiser, Fosters, and Carling with its Punk IPA on consumer website RateBeer. However, this isn’t an original Brewdog campaign. The company tried a similar stunt in 2013, with the launch of a “fake pilsner” on April Fool’s Day. In fact, the stunt bears a striking resemblance to initiatives launched by mainstream brewers. “It’s ironic – or arrogant – that it was most likely inspired by the very beer brands they’re trying to get people trading in, Tom Harvey, co-founder of alcohol marketing firm YesMore, told the drinks business. Scottish beer label Tennent’s, owned by C&C Group which also producers Bulmer’s Cider, launched a “beer amnesty” of its own this time last year, which offered drinkers the opportunity to swap Carling tinnies for its own “refreshingly honest” lager in select Scottish bars. It followed the revelation that Carling had reduced the ABV of its beers to 3.7%, instead of the 4% printed on its cans. So if Brewdog still identifies as a craft brewer, why is it employing the same strategies as “Big Beer”? Harvey told db that part of the reason lies in the fact that new lagers are notoriously difficult to bring to the market. Provocative stunts may rile the independent brewing industry, he said, but this beer amnesty will “appeal to their existing audience.” the more pressing issue, he added, will be attracting more consumers to the brand.